I was at the PowerShell Deep Dive the first half of this week. During a break, I had the chance to meet Clinton Knight, the lead guy behind the NetApp PowerShell Toolkit. Since v1, I have been asking for a provider. Well it turns out that they slipped one in in their latest release and I didn’t even notice. That will teach me to start reading release notes. Anyway, now with a filer you can do things like the following. This is going to make it even easier now to navigate all your volumes, q-trees, and LUN’s. Another very cool feature that I just found out about as well is the ability to store credentials to connect to different filers. They have three cmdlets that allow you to Get, Add, and remove credentials.These are encrypted and stored on disk so that only the user that created them can access them. Definitely a nice touch. NetApp has really done a fantastic job with their Cmdlets. Their implementation of PowerShell is by far one of the best I have seen, including Microsoft and third parties. Companies looking to use PowerShell in their products should definitely take a look at what NetApp has done. When you go to create a partition on a disk in Windows, you can use two different styles, MBR and GPT. The stand for Master Boot Record and Guid Partition Table. One of the major differences between these two is the size of partition you can create. If you have SAN storage and are using CSV’s in Hyper-V, you very well might bump up against this. MBR partitions are limited to 2 Terabytes (2.19 * 1012). GPT allows for a maximum size of 9.4 ZettaBytes (9.4 x 1021) In other words, at this point size doesn’t matter, at least in this decade. I used PowerShell to create an Advanced Function. By Default, it will return all partitions and their disks. You can also specify just the disk you want as well an array of disks. This is pretty easy if you are getting an single object and returning a single object. But what if you wanted to create a new object that was a combination of several source objects. This would be like a Join in SQL. You can create what is called a PSObject using the New-Object Cmdlet. This is great but there is a trick that might make life a bit simpler. You can pass in a hash table to New-Object which eliminates a few lines and make things a bit easier to read and understand. This is a blog post I have been meaning to write for a while. Really, being a judge for the 2011 Scripting Games caused me to get this post out. As a judge for the games, I have been reading dozens of scripts every day, and I am sure you can imagine it can get a little tiresome reading through code. That being said, I am learning a ton and have thoroughly enjoyed seeing some great scripts and very innovative solutions. This post is both a commentary on what I have seen in the Scripting Games and my opinions on some best practices. Use Cmdlets when possible. Only resort to invoking .NET code when there is no cmdlet available. Learn to use the pipeline. This can be extremely efficient. In order to do this well, your functions need to be pipeline friendly. Learn to use “AcceptVaueFromPipeline” in parameters, but don’t overuse it. Use Proper Naming conventions for your functions and scripts. There is a clearly defined list of acceptable verbs and also strong guidance on how to name your nouns. Also, run Get-Verb to see all the available verbs that you can use. For nouns, if you need to disambiguate from another set of Cmdlets or functions, use a 2 or 3 letter prefix. Also, always use Singular nouns. Plural nouns get complicated. For example,the noun child is used quite often in providers. Pluralizing “child” turns it into “children” which is not very discoverable, especially if you consider localization. 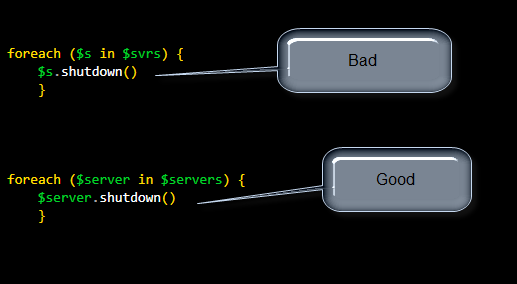 Use variables that make it easy to understand what you are doing in your script. Comments in code are great, but your code should be readable and understood without them. In general, I would choose good variable names and clear processes over heavily commented code. Comment based help is completely different. It’s great. Use it. Include a lot of examples in your comment based help. Comment Based Help is great. However, it can be very verbose in your script. In the games, I have seen people squeeze it all together and make it hard to read. I would say the most important points in help are the examples. In your examples, start at the easiest way to use your script and add more complexity in more examples. There is a ton of great functionality in Advanced Functions. In particular, with just a bit of annotation, you can get a lot for free when it comes to parameters. You can force a parameter to be mandatory. You can say whether or not it can take values from the pipeline. You can run a number of validation against them, and the list goes on. However, with all these options, and if you have 3 or more parameters, it can get pretty verbose pretty quick. Here's how I handle the verbosity. Always put spaces between parameters. In the ISE and most script editors, a TAB is equal to 4 empty spaces. I think this is a good number and is pleasing to the eye when reading code. You should use Tabs and Curly Braces to visually show where a block of code begins and ends. Along these lines, I would also like to point out when I use blank lines in code. Sometimes in a function or some block of code, I may be doing two or three sets of operations. If you have much more than that, I would suggest you need to break down your function, but that is a whole other blog post. In this example, I have added blank lines between chunks of code that seem like they should be grouped together. Looking at this code I wrote 2 years ago, I probably should have broken these down into more usable code and wrote some functions like New-NaElement and New-OutputObject. Oh well, looking back and reflecting is a good thing. I now know better. Also, naming variables was kind of weak here as well. $NaElement and $NaElement2 is bad. I should have named them $lunInfoElement and $occupiedSizeElement or something along those lines. 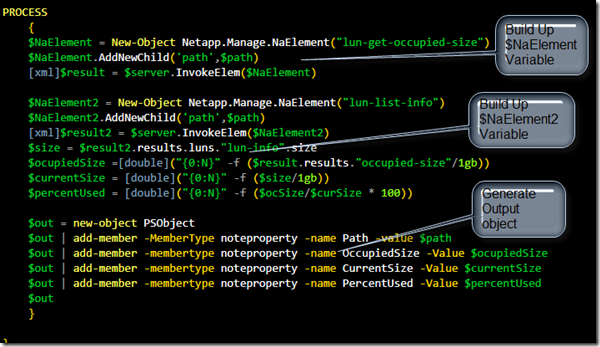 I have noticed quite a bit of discussions and questions in various online communities on how to package and distribute the PowerShell Cmdlets, Functions, and Scripts. What I love about PowerShell is that you can be fast and loose with distributing functionality, very rigorous, or anywhere in between, when it comes to code distribution. I have sent one-liners via IM to folks and I have checked code into Team Foundation Server. It all depends on what your goal is. The beauty of Modules in PowerShell is that they allow you to easily distribute and deploy your code or cmdlets to others using nothing but copy and paste. Let’s say you have a module with a a lot of functions to Get, Set, and Remove Network Settings, and you named this module Network. All you need to do is create a folder called “Network” and put your module files into that folder. There are three basic types of modules; Script, Manifest, and Binary. Let’s look at each one, as they tend to build on on another. Script modules are really nothing more than a .PS1 file renamed to .PSM1. For example, if you have a script that has a list of functions you use everyday called myfunctions.ps1, you could turn it into a module by renaming the script to myfunctions.psm1. Then, instead of dot sourcing your script, you could just use Import-Module to bring all those functions into your PowerShell session. Manifests can be used to add a bunch of useful information for code authors and users. A manifest is a separate file that you can include with your PSM1 file or your compiled Module, which is just a DLL. The manifest file is just a a PowerShell HashTable. You can use a cmdlet called New-ModuleManifest to create one with some very basic information. Manifests are really nice for adding version information and prerequisites for your module. 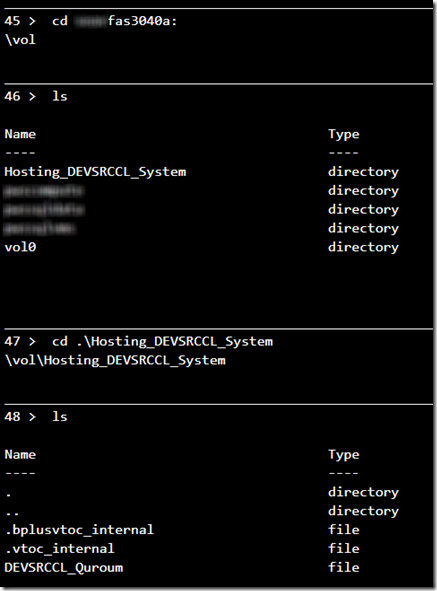 If you create a folder called c:\windows\sytem32\windowspowershell\v1.0\modules\myModule and drop in a PSM1 file and a PSD1 file, PowerShell will load the manifest. You just need to put in the ModuleToProcess field to add your PSM1 or DLL. If you are a developer or an IT Pro that loves to code, you might want to create a compiled module. This is a module that contains Cmdlets and or Providers that are compiled, and are typically written in C# or VB.NET. A binary module is actually a DLL file. You can read all about creating a compiled cmdlets here on MSDN. 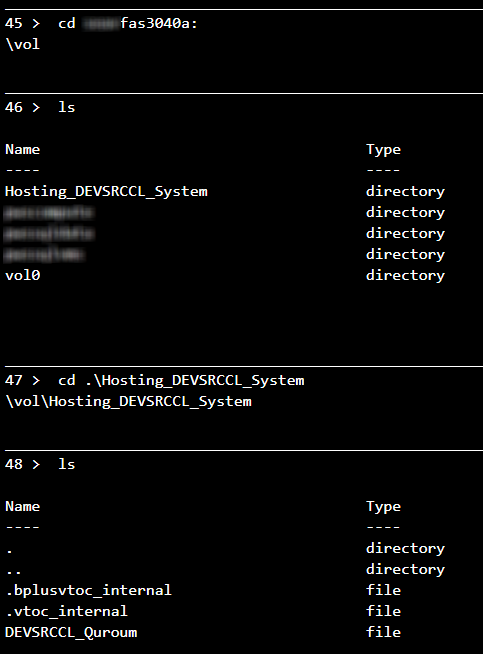 Just like a PSM1 module, you can create a module manifest and add the DLL into ModulesToProcess in your manifest. What most of these do should be pretty obvious from their names. One nifty trick is the –listAvailable switch on get-module. 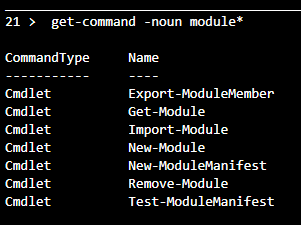 this will list all the modules that are available on your system, so you know which ones you can import. You can even filter this based on Module type. If you happen to be one of the six people that read this blog on a regular basis, you will have noticed a few changes. I recently converted my blog from Word Press to BlogEngine.NET. There are a few reasons why I made the change. First, I wanted to start learning more about web development on .NET. Secondly, Microsoft just released a product called WebMatrix. WebMatrix is an app that allows a techy guy like me to start hacking and slashing at a web site and provides a vehicle for me to get into some ASP.NET code if I choose to do so. What’s great about WebMatrix is that it allows you to pull down templates and sites from a large list of great open source projects that you can use in your own web site. From this list I chose Blog Engine.NET. This is where the fun begins. My first problem was to figure out how to move content from my Word Press blog to my new Blog Engine.NET blog. Searching the Interwebs with Bingle, I came across a project on codeplex called BlogML. Blog ML is essentially a form of XML used specifically to transfer Blog data between different Blog Engines. Blog Engine .NET has native functionality to import a BlogML file. However, getting Word Press to export Blog ML was a bit of trick, until I found this Export Script. Once I had the BlogML file, I needed to clean up the file a little bit. Luckily, the BlogML project has a XML Schema file that I was able to use to check the validity of the XML. There were about 10 errors in the exported file that I had to clean up. So now I have a new web site with my content pulled in, but there is one big problem. I needed to be able to maintain my permalinks. Here’s where PowerShell came into action. 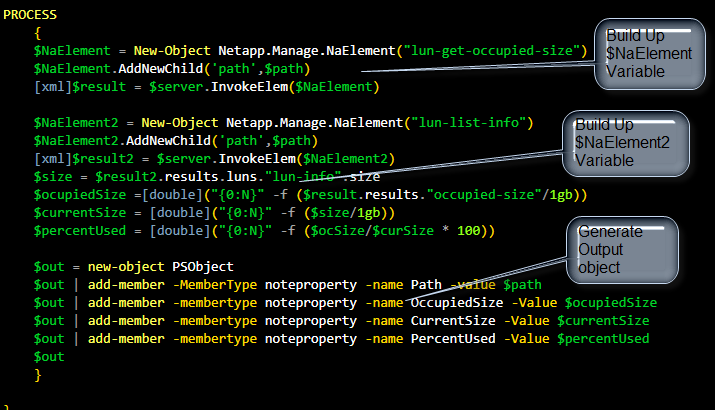 By the way, this is what I love about PowerShell. It’s a complete and total Swiss Army knife. You can use it to do just about anything anywhere. I needed to get a list of all my permalinks. So what I did was tweak my RSS feed on my old and new blog to list all of my blog entries. Then I used the System.Web.Client to download the XML and parse out the URL’s that I needed. Once I had this from the old and new blogs, I generated a CSV file that had two columns, OldURL and NewURL. Armed with this information, I started looking at a tool in IIS called URL Rewrite 2.0. My blog is hosted at Cytanium. One thing that is really cool about them is that you can manage your Web Site directly using IIS Manager. Looking at my CSV file, there was an obvious basic pattern and I looked at using RegEx in URL Rewrite. This worked for a few of my PermaLinks but I quickly found out that there were many more exceptions than rules in how the URL’s were translated. What I ended up doing was creating a rule for each permalink. Sure this may not be the most optimal situation, but its not like I am running Amazon.com. $maps = import-csv "d:\Users\My Documents\UrlRewriteMapping.csv"
Once I had my URL Rewrites working, I was pretty much ready to go. All the basic functionality that I need is up and running now. If there are any quirks, please send any feedback via my Contact Page. I am very excited about the upcoming Scripting Games this year. This is always a great opportunity for people to learn an incredible amount. If you are a beginner, this is a great place to start learning. If you’ve scripted yourself out of some deep dark holes, it’s a great opportunity to learn from other top notch folks and to also share your expertise. Also, I get to be one of the judges this year. I am really looking forward to reviewing scripts and seeing all the great solutions that ya’ll are going to come up with! Hope to see you there ! Have you ever ran a PowerShell Cmdlet, looked at the properties and want do something with one of those properties like sort or group the output and have it fail? This has happened to me a few times. One example of this was with the NetApp PowerShell Toolkit. Get-member tells us that there are a couple properties, AccessTime and AccessTimeDT that could be useful. From this I can infer that Created is somehow related to AccessTimeDT. But how and why is the real question. 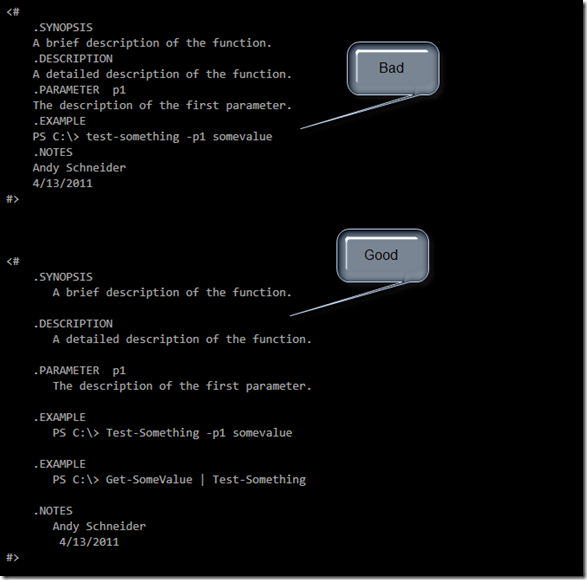 An author of a PowerShell module can create a xml file that tells PowerShell how to display data in the console. If we go and look at the formatting file in the NetApp toolkit, we find that Created is mapped to the AccessDT property for SnapMirror objects. So what’s this mean for you as a person using PowerShell. If Sorting or grouping by a property is not working, make sure that property is real. You can use get-member or go hacking through the format.ps1xml file for that particular module. What does this mean for PowerShell Module authors? I would say be very careful of how you present data to end users. My humble suggestion is to use types.ps1xml file and create script properties and have those properties exposed to end users using the format file. This way, we can sort, group, and filter by the properties we expect to be there.